Mexican textiles great variety shows the country's cultural diversity. The different materials, looms, weaving techniques, embroidery styles and colors used in Mexican textiles come from the combination of the Mesoamerican and Spanish cultures with some oriental influences. 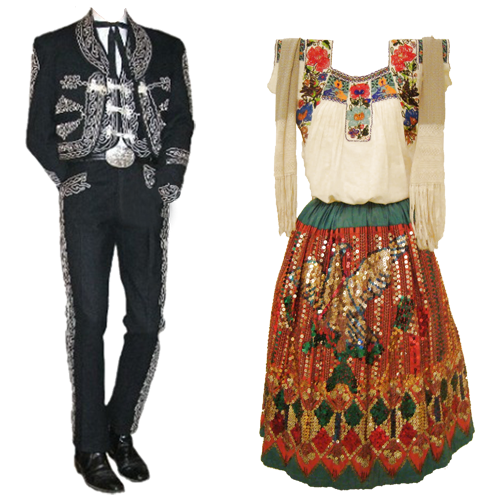 As in every culture in the world, Mexican clothes and textiles have been influenced by the available elements, its history and the local customs. 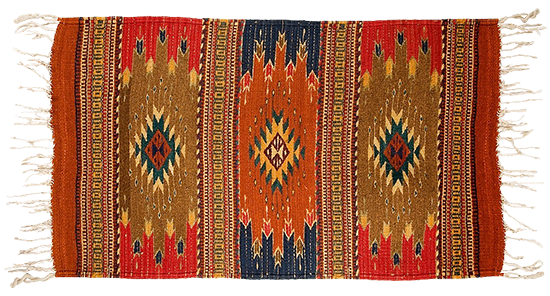 The earliest vestiges of Mesoamerican textiles were found in the northern part of the country and date from 1800 BC. These remains were woven with chichicaste fiber, a hard fiber similar to the European linen. The only fibers available in the area were vegetable, so the Mesoamericans used cotton, maguey, lechuguilla and chichicastle to weave their fabrics. In most of Mesoamerican cultures cotton (the only soft fiber available) was used solely by the nobles and priests while the common people dressed with cloths woven with hard fibers. 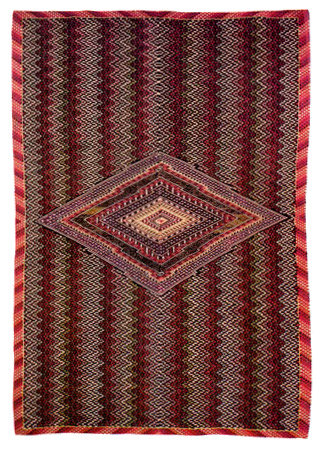 The textiles were woven in a back strap loom and due to the great variety of mineral, vegetable and animal dyes available they were very colorful. Embroidery was used to decorate clothes with gold and silver threads, shells and feathers. 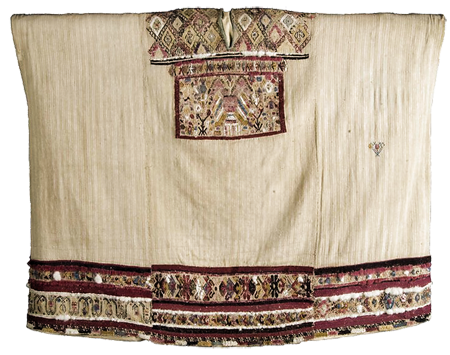 A fabric woven with hare fur and cotton was used for warmer garments. Feathers from exotic birds such as the quetzal were glued to vegetable papers creating big wall hangings used in temples and palaces. Feather decorated fabrics were worn only by nobles, warriors and priests, and the craftsmen that made them were much appreciated. Weaving was considered a sacred gift from the gods to women, when a baby girl was born she was given her weaving tools and when women died they were buried with their tools. The Spanish arrival brought to the area many changes that were reflected in the textile production and dressing styles. Spaniards brought along wool, silk and the foot loom. The new materials and techniques soon spread around the native people. Men began to weave using the foot loom to make cotton and wool fabrics, and women adapted the wool threads to their back strap loom. Cotton was more expensive to produce so it was used only by the Spaniards, while the rest of the people used wool to weave their clothing. With the new social rules and the new religion clothing styles changed, most men, especially the ones living in the cities and having a commercial contact with the Spaniards, had to wear long trousers and they adapted the European shirt to a button-less shirt called coton. Women's clothing did not change as much and as fast as men´s, they continued to use the huipil with a few adjustments, the enredo and the quechquemitl, but most of them were made of wool instead of maguey fibers. Some women used Spanish blouses or skirts combined with native garments. The rebozo was created in those days and was used both by Spanish and native women. The sombrero was adopted by the natives but instead of making it out of cloth like the Spaniards did, they wove it from palm tree leaves called petate. 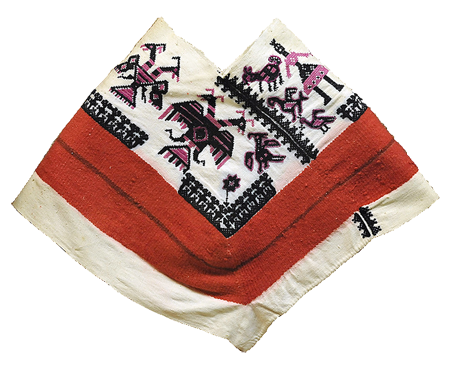 The sarape, a wool blanket used in the north to cover from the cold and the jorongo were created in during the colonial times. The China Poblana gown, wore by women that worked in the cities as maids or vendors created this new clothing style that combines Indian, Spanish and oriental elements. The Charro gown; once the Spanish left the new upper classes enjoyed horse riding and developed a suitable gown called traje de charro. A charro soon became a man that was a skilled horse rider. After the Revolution War there was a national attempt to create a Mexican identity based on the country's cultural heritage, so in the early post revolution years certain elements like the rebozo and the charro gown were widely used. With time people in the cities adopted a European dressing style and only few indigenous groups and people from the countryside continue to wear traditional garments. 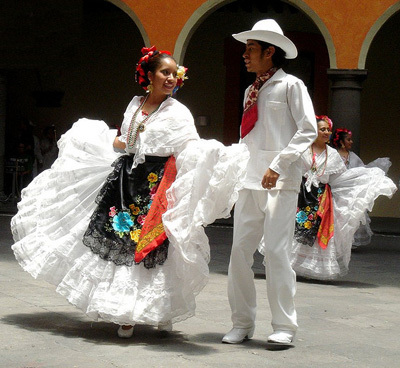 The Folk Dance of every region in Mexico is performed with beautiful gowns called traje regional; each region has a particular style based in their history and cultural backgrounds. Folk Dance has helped preserve the traditional music and clothing. There are 64 different Indigenous groups in the country; most of them live in central and southern Mexico. 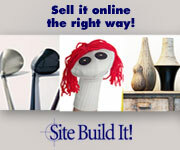 Their clothing styles represent their culture and the place where they are from. 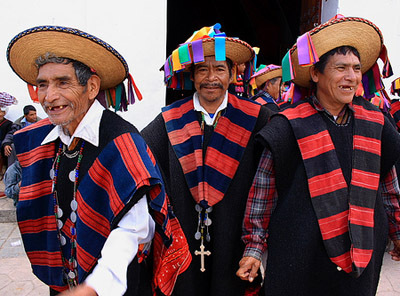 Although many of these groups wear the same traditional garments, (huipiles, quechquemitles, enredos, cotones and hats) the colors, the embroidery patterns and the weaving techniques are different. Most of the clothing production in these communities used to be for their own use but in the last years the selling of woven and embroidered items have become an important source of income. 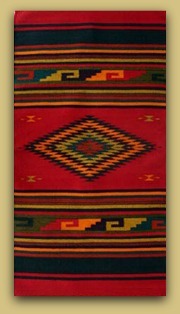 Zapotec rugs are made of wool in Teotitlan del Valle in Oaxaca. With a pre-Hispanic weaving tradition the fine tapestries and wall hangings woven with Zapotec patterns are world famous. 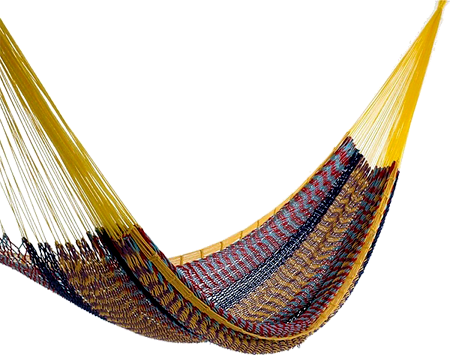 Mayan Hammocks are made in Yucatan State and are hand woven with cotton, nylon or the traditional sisal fiber, mostly by women. 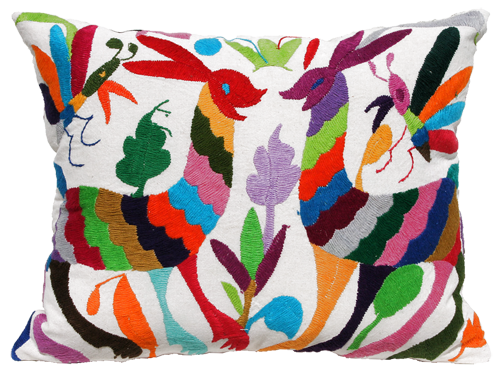 Otomi women from Tenango de Noria do colorful embroidery on cotton or linen cloths. Animals like birds and deer and plants as the maize are delicately embroidered by hand in multiple or single colors decorating table cloths, pillow cases, quilts and clothing. 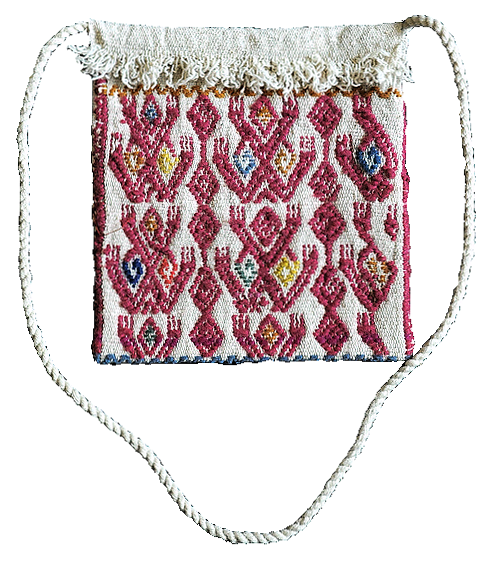 These beautiful Mexican textiles have been reproduced by fine couture companies as Hermes. 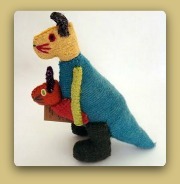 These innocent and whimsical wool animals are made in San Juan Chamula, Chiapas by Tzotzil women. As many Indigenous communities in the country the Tzotzil have traditional clothing made of wool by the women. 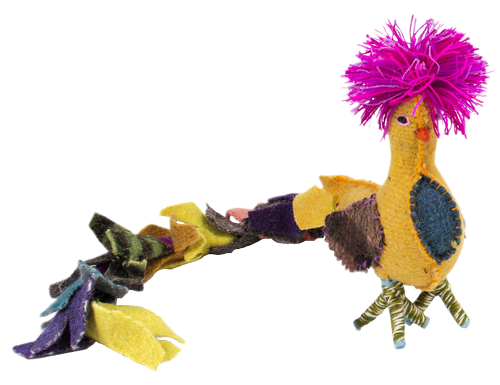 As a way to use clothing remnants the women began making stuff animals for their children and soon began selling them as a craft. Hand woven and hand embroidered fabrics that represent the culture and history of the Mayan people that live in this area are used to make all kind of personal and decorative garments.